As I waited for this promo to download it occurred to me that Steve Hackett has been a constant in my Rock world. He was there with Genesis at the outset and he’s still releasing albums and touring on a regular basis almost 40 years later. Steve has never been a man you can pigeon-hole, he likes to explore sounds and styles; consequently his albums cover a variety of bases; this being one of the many reasons to enjoy his music. This album moves between Rock, those acoustic snippets he does so well, ballads, Middle Eastern influences and the Blues. Dull and predictable he most certainly is not. Following the phenomenal ‘Out of the Tunnel’s Mouth’ album was never going to be an easy task and having lived with this album for a long while I can say that, for me, he hasn’t quite matched its sheer magnificence but as usual he’s managed to deliver another fine collection of tracks that are for the most part extremely pleasing and will find considerable favour with his sizeable and very loyal fan base. 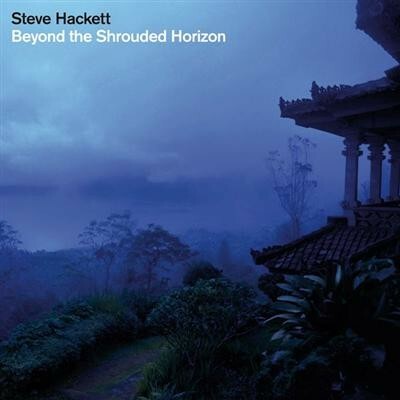 As always, he produces some sublime guitar melodies (both electric and acoustic), which are quintessential Hackett and these will sit very comfortably next to the best of his already considerable body of work. Where Steve and I don’t gel is his love of the Blues and this album has several excursions into that genre. A case in point is ‘Prairie Angel’, a track he showcased on his last tour, the first half of which is utterly brilliant being redolent of the classic tracks from the epic ‘Spectral Mornings’ album. The second half switches to a heavy Blues motif and therefore loses the wonderful melody that carried the track initially. It’s not bad, just not my taste. However, the highlights are considerable and more than outweigh my personal gripes; many of the musical themes have already burrowed their way into my subconscious and I can’t wait to hear them live. Standout moments include the opener, ‘Loch Lomond’ which alternates between a stomping beat, acoustic interlude and back to the heavy vibe. Hackett’s guitar refrains and instrumental sections on this track are an absolute delight. ‘The Phoenix Flown’ is superbly melodic, but too short, whilst ‘Til These Eyes’ is an acoustic number featuring lovely vocal harmonies. ‘A Place Called Freedom’ is set to be a classic as it builds beautifully and features another Hackett instrumental that is pure gold. Listen out for the homage to ‘Carpet Crawlers’ on this track and another to his own ‘Please Don’t Touch’ on ‘Waiting To Life’, which features Amanda Lehmann as lead vocalist.